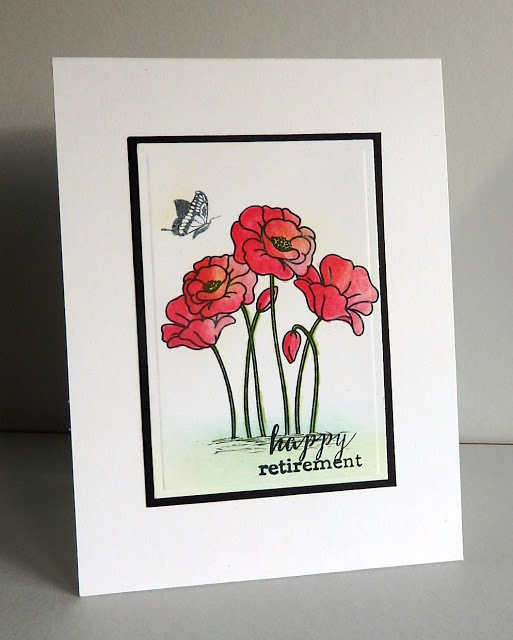 I had been eyeing off this stampset for a while now and was delighted when I finally got it last week. I couldn't wait to ink it up. 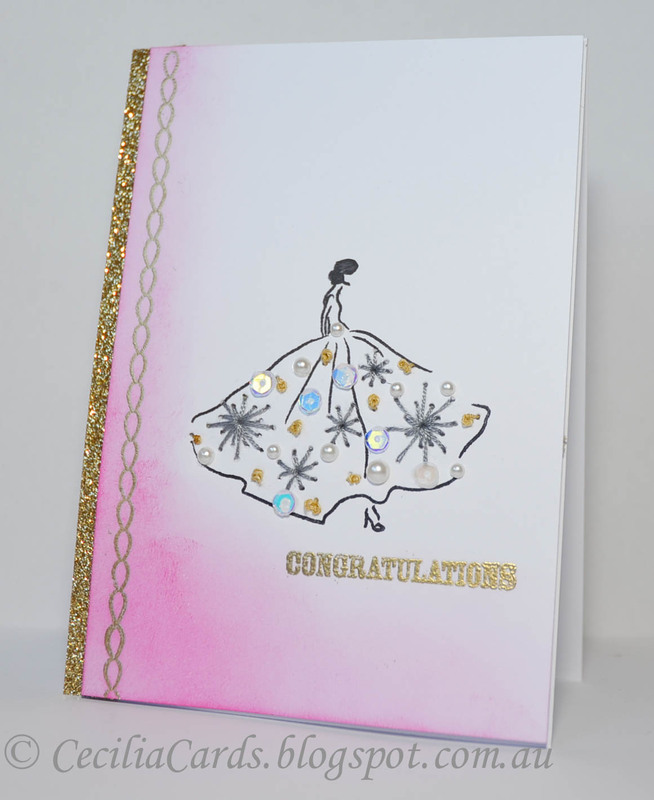 I experimented with different colours and decided to use this week's Muse challenge as an inspiration for this card. 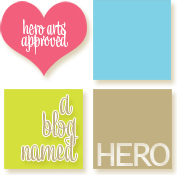 Both the stampset and sentiment are from Hero Arts. The inks I used were mid-tone inks from Hero Arts. I'm also adding this to Simon Says Stamp Wednesday Challenge - Anything Goes. Thanks for dropping by! I am still loving the A Blog Named Hero's Rainbow challenge! 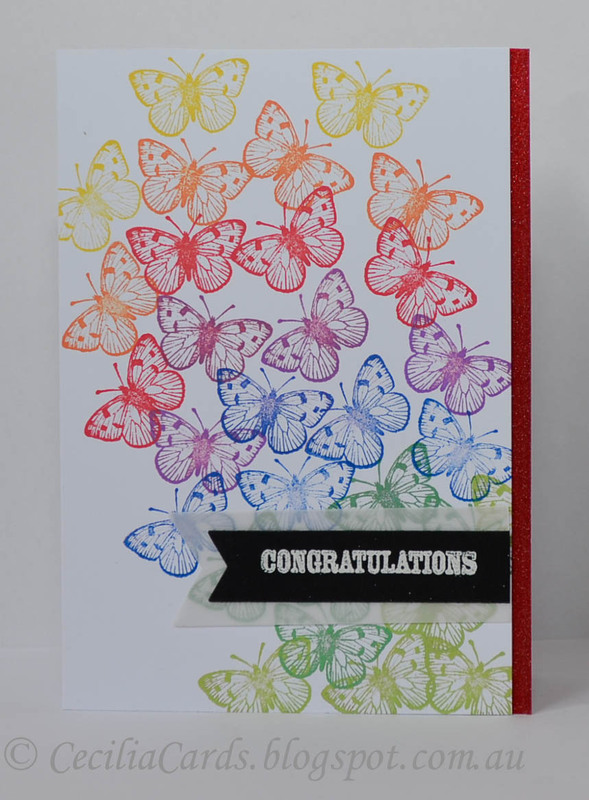 Here is another card using the little butterfly stamp from an old Hero Arts stamp set and Ranger Dye Inks (I was glad I bought the whole set as the colours are so vibrant)! 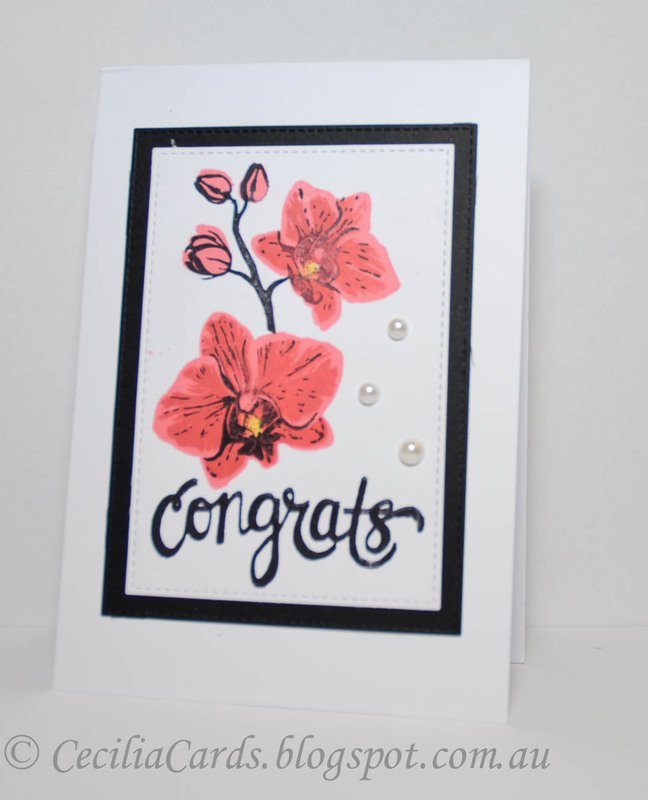 The sentiment was white embossed on black and added to a bit of vellum. 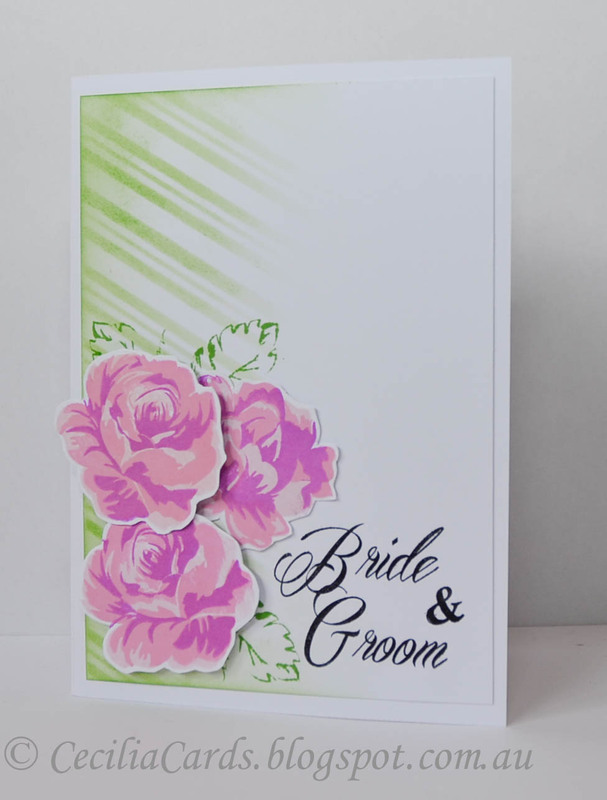 I'm trying out a new card stock recommended by Joy Taylor - I love the whiteness and the thickness of it! Thank you for dropping by!! 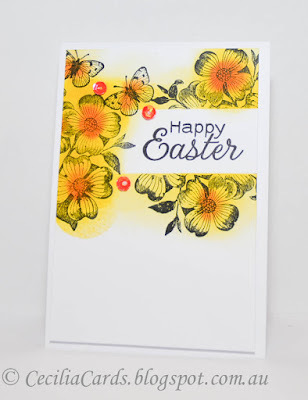 I only receive one Easter card every year and that's from my ex Mother-in-Law. So she is the lucky recipient of the only Easter card I make every year. 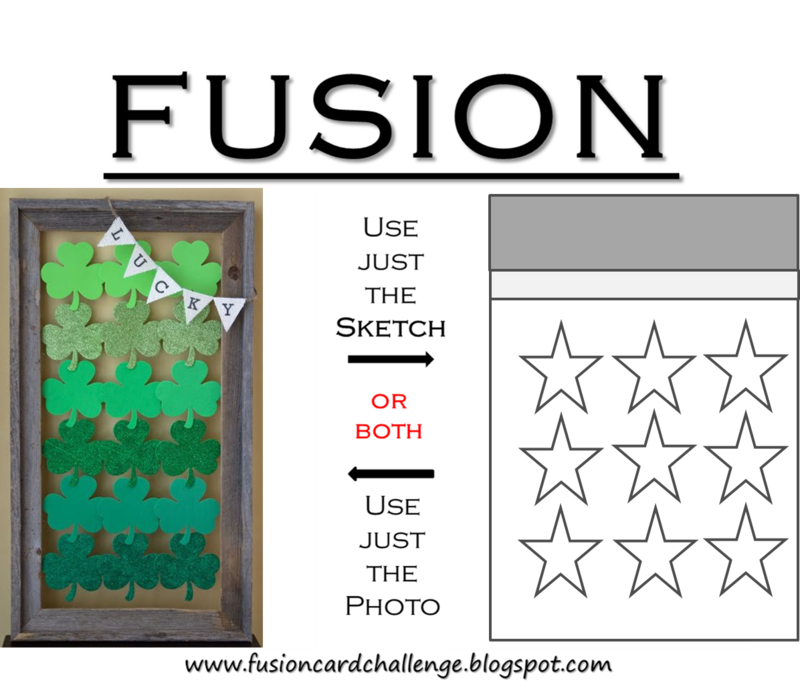 I got her card in the mail today and this one I made tonight will go in tomorrow's mail. 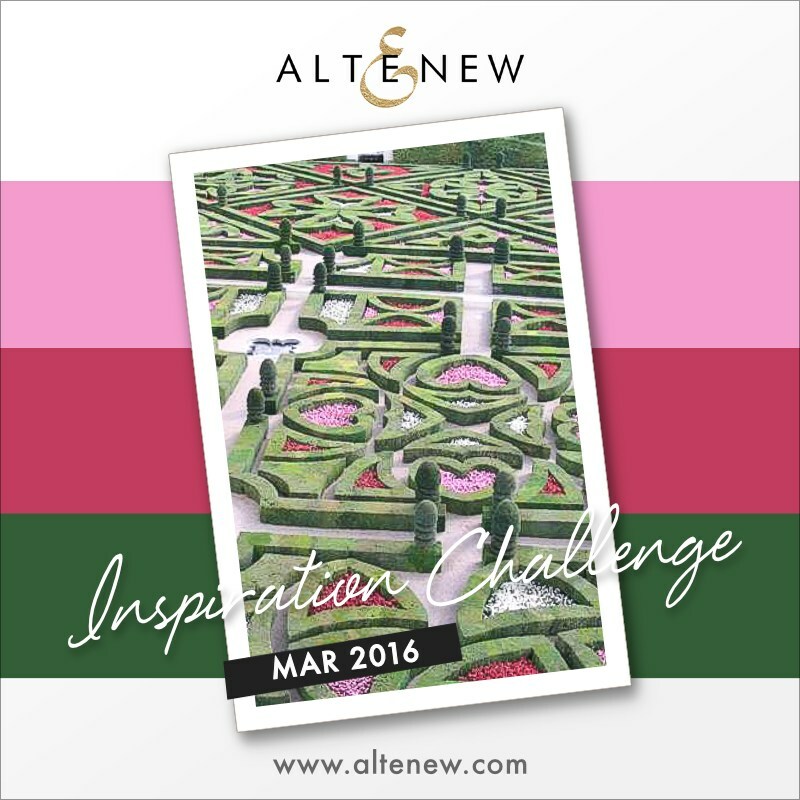 I'm inspired by this week's Muse Challenge - Anita Bowden. 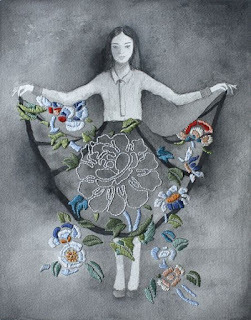 Her card is below. Thanks for dropping by! 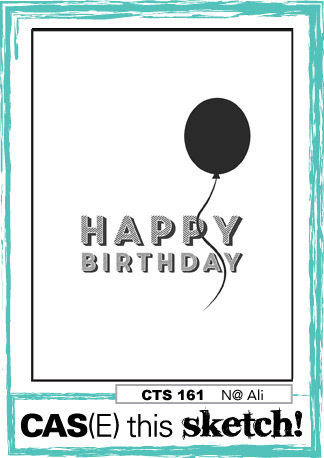 Since starting to work full time (well, two part time jobs) last week, I've found it hard to find time to make cards again. I have a few wedding cards to make so I spent a bit of time on it this weekend. 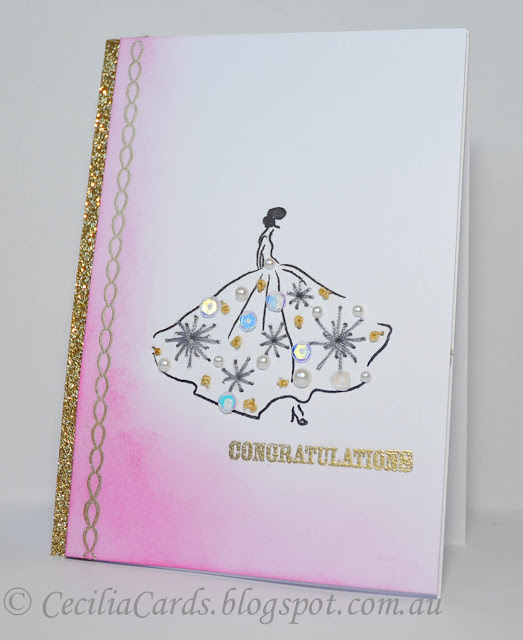 I used the inspiration photo from the Altenew March challenge to make this card. 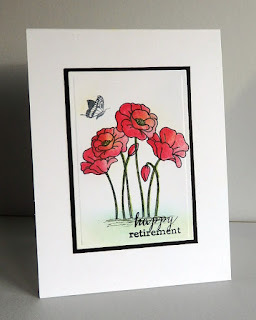 I used the Altenew Vintage flowers stamp set, Simon Says Stamp stencil and sentiment from Papertrey Ink to put it all together. 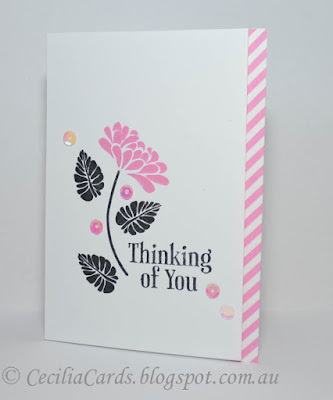 The inks I used were - Hero Arts Passion Flower and Bubblegum, Ranger Wild Orchid, Tim Holtz Distress Ink Mowed Lawn and Ranger Archival Jet Black. I'm also adding this card to the Simon Says Stamp March Flickr challenge - Anything Goes! 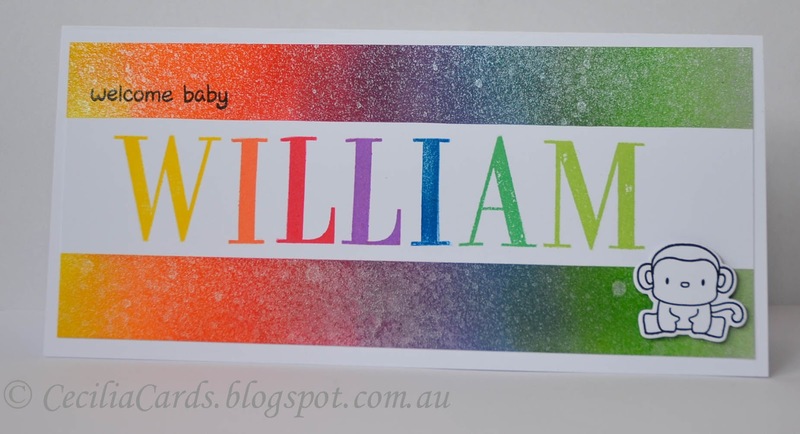 I have a card to share that was made for the A Blog Named Hero March Challenge - Rainbow! 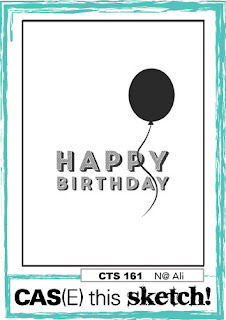 I had an idea to make this card and it took a few days to come to fruition due to me having no spare time to make it. 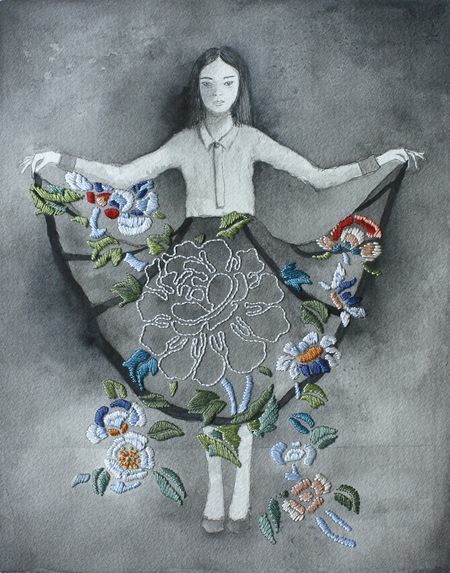 I finally finished it on the weekend! 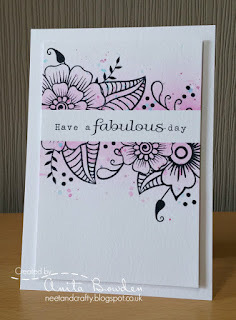 I stamped the background with the Friends definition background stamp in HA Charcoal ink. 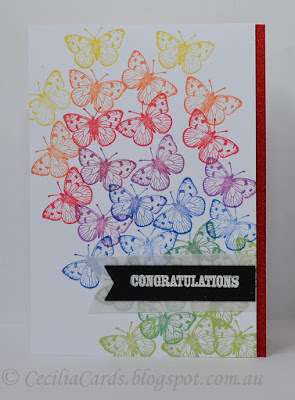 The butterflies were stamped with the following HA mid-tone inks - Butter Bar, Orange Soda, Tomato Red, Red Royal, Navy, Stone Wash, Field Greens and Green Hills and Ranger Ink Grape Soda. 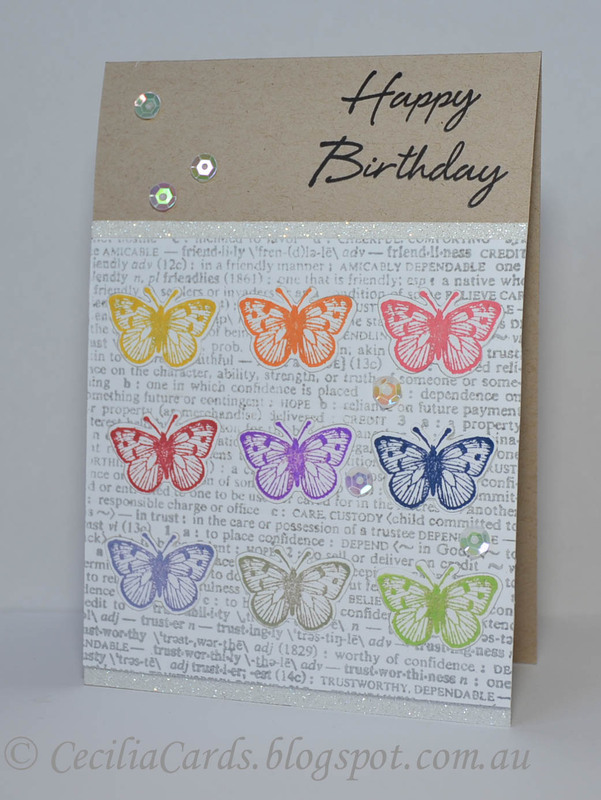 The card was based on the current Fusion Challenge sketch - it was hard to line up the butterfly die cuts! Thanks for dropping by! 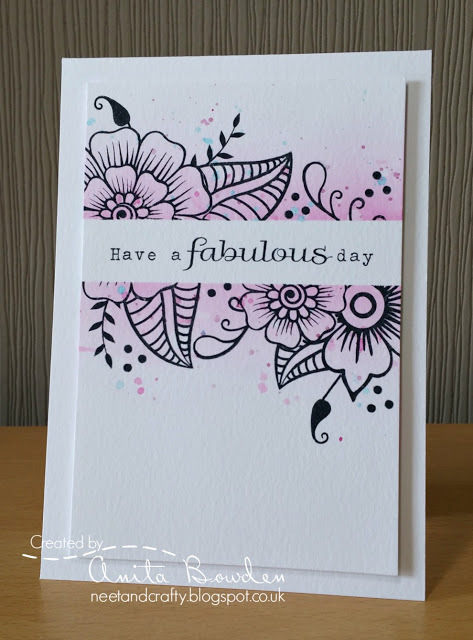 I have a card to share inspired by the sketch for CAS(E) this sketch. 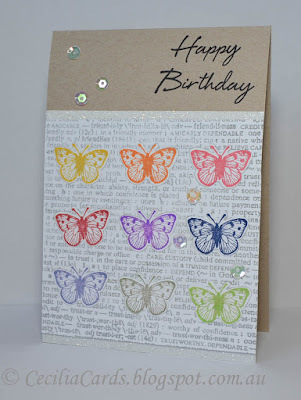 I've used Hero Arts products for this card including the inks and MT tape on the side. The stamped card was mounted on a thin layer of foam (another idea pinched from Jennifer McGuire, I now know why she uses them). Thank you for dropping by!